CGPDTM Admit Card 2018 is Out. Candidates can download the CGPDTM Admit Card 2018 from the current page. The officials of the Controller General Of Patents, Designs & Trade Marks (CGPDTM) is going to conduct the Examiners Of Patents & Designs Prelims exam on 30th September 2018. For that, they released the CGPDTM Examiner Of Patents & Designs Hall Ticket 2018. Moreover, all the contestants have to download the CGPDTM Admit Card online from the official portal @ dipp.nic.in. Further, you should take down the exam centers with the exam dates and also the precise procedure to follow while downloading the पेटेंट, डिजाइन और व्यापार चिह्न के नियंत्रक जनरल Admit Card 2018. At the end of this page, we gave the direct link to download the Department of Industrial Policy & Promotion Call Letter from the official web portal. Contestants who wish to take part in the Prelims Examination must hold the essential CGPDTM Admit Card 2018 to the examination hall. Furthermore, the officials have declared the exact date of the dipp.nic.in Hall Ticket 2018. Until that date, you must prepare for the written examination. And the Prelims examination will be conducted on 30th September 2018, and the Mains Examination will be on 18th November 2018. It is very obligatory for the contestants to carry the CGPDTM Hall Ticket 2018 to the examination hall. Or else, the officers at the test venue will not permit to enter into the exam. So, all the candidates should carry the valid Hall Ticket with anyone ID proof for the identification purpose. 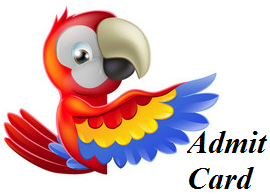 After downloading the Admit Card, you should check all the details present on it. And if you find any of the discrepancies on it, you must intimate the management of the conducting body. Preliminary Examination: Ahmedabad, Bengaluru, Bhopal, Mumbai, Bhubaneshwar, Chandigarh, Chennai, Delhi, Guwahati, Hyderabad, Jaipur, Kolkata, Lucknow, Patna. Main Examination: Chennai, Delhi, Kolkata, and Mumbai. While downloading the CGPDTM Admit Card 2018, candidates should follow some process to make their path accurate. So, we presented the set on instructions so that you can get it straightforwardly. Well, all the contestants should move to the official site of the Controller General Of Patents, Designs & Trade Marks (CGPDTM) @ dipp.nic.in. Then the home page of the organization is visible on the screen. Then search for the recent link to download the CGPDTM Hall Ticket. Further, you should click on the flashed link. Enter the registered number together with the DOB or password and then submit. Up next, contestants should check the details present on the CGPDTM Call Letter whether they belong to you or not. Instantly, download the CGPDTM Admit Card 2018 and also keep a hard copy with you for further usage. Competitors who are going to attend the CGPDTM written examination must download the CGPDTM Admit Card 2018 from the above-specified link. Consequently, if you face any problems with the downloading procedure, please let us know through your query under the comment of our Sarkari Recruitment web page.